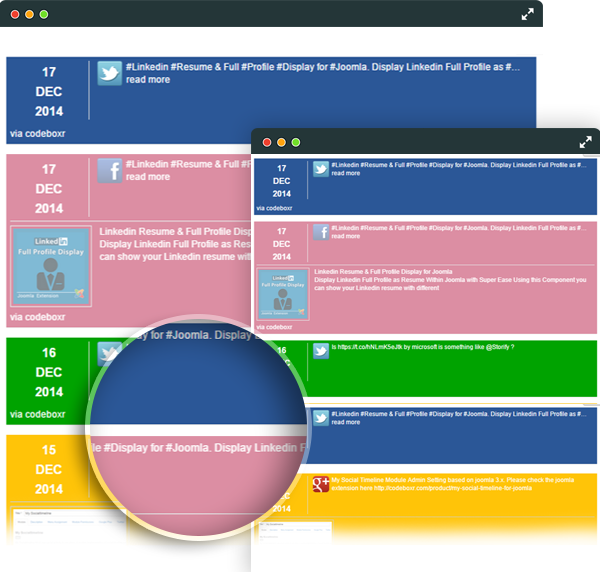 An unique Joomla Component which show latest updates from all major social networks in Facebook like timeline fashion (and other layout and styles). 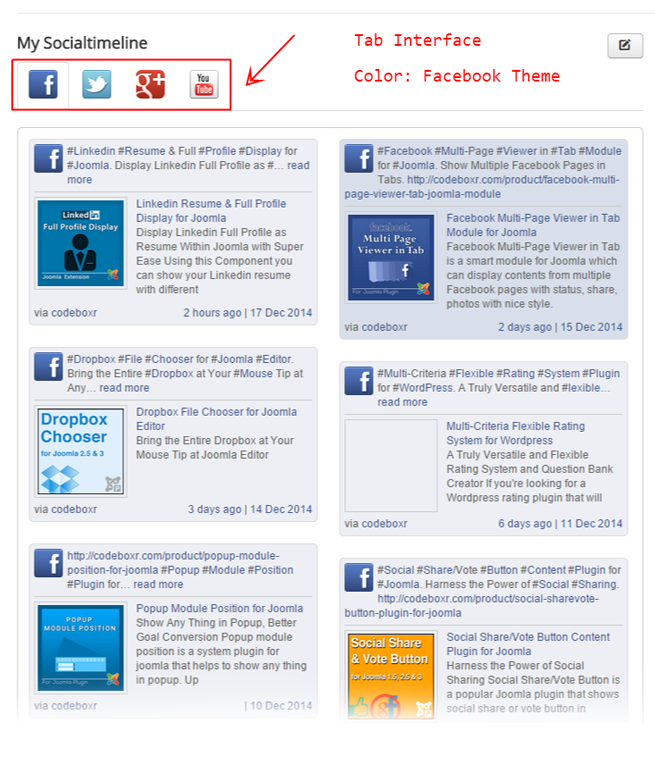 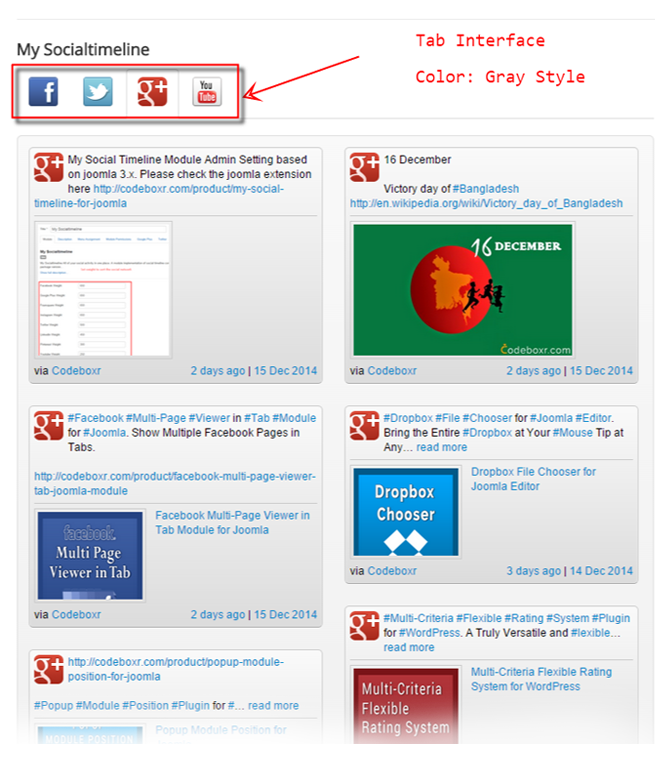 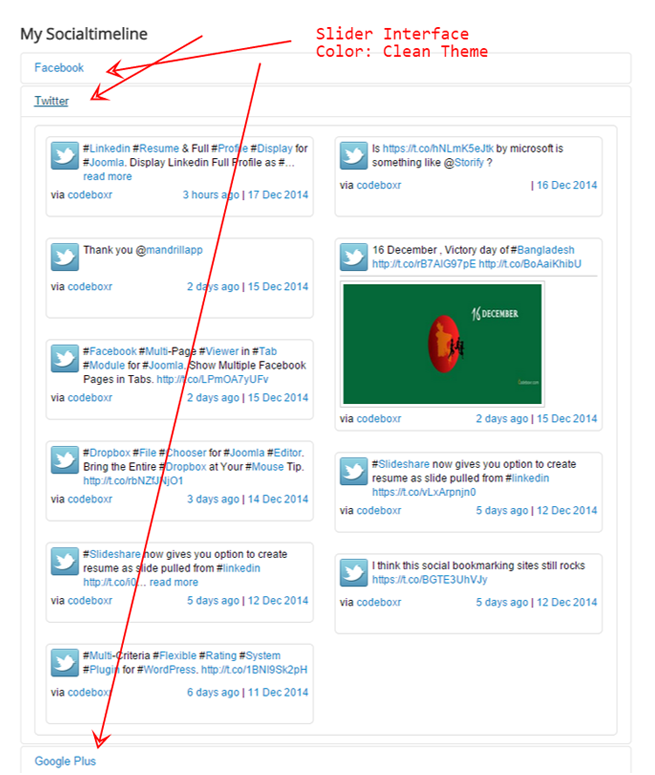 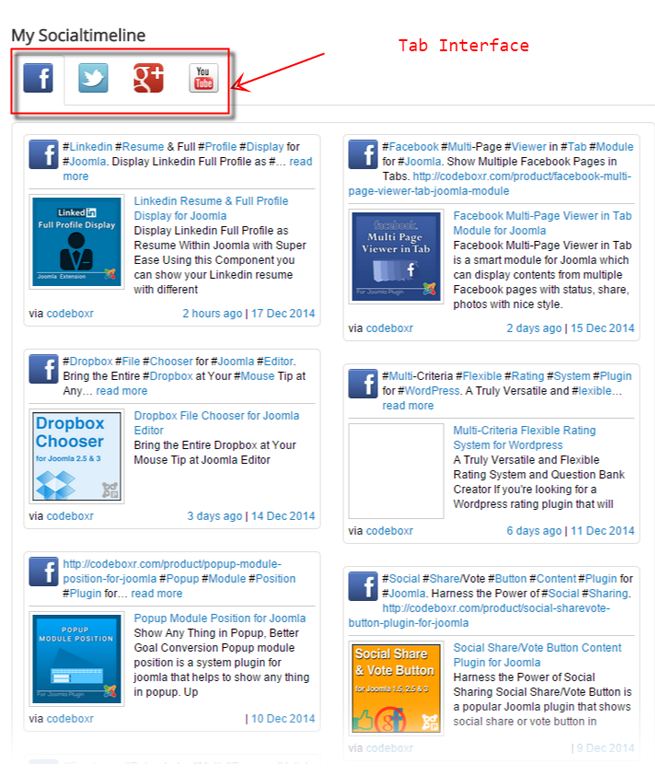 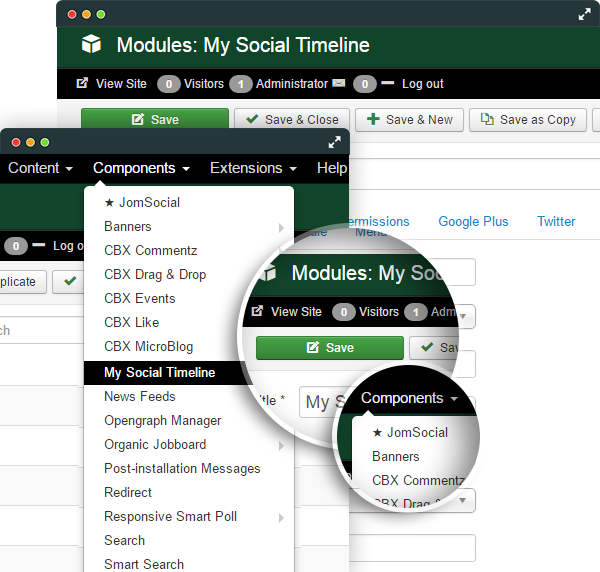 Whichever is your social network of choice, now you can feature their updates as you like within your Joomla! 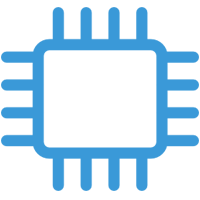 A must have Component. 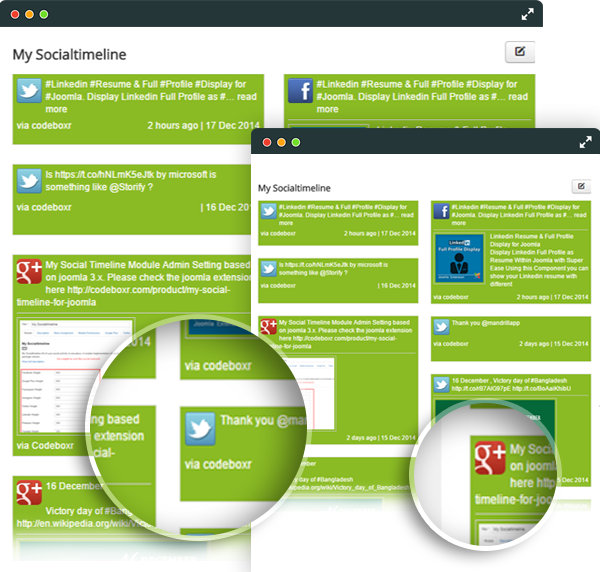 Multiple social network mashup and various display presentation. 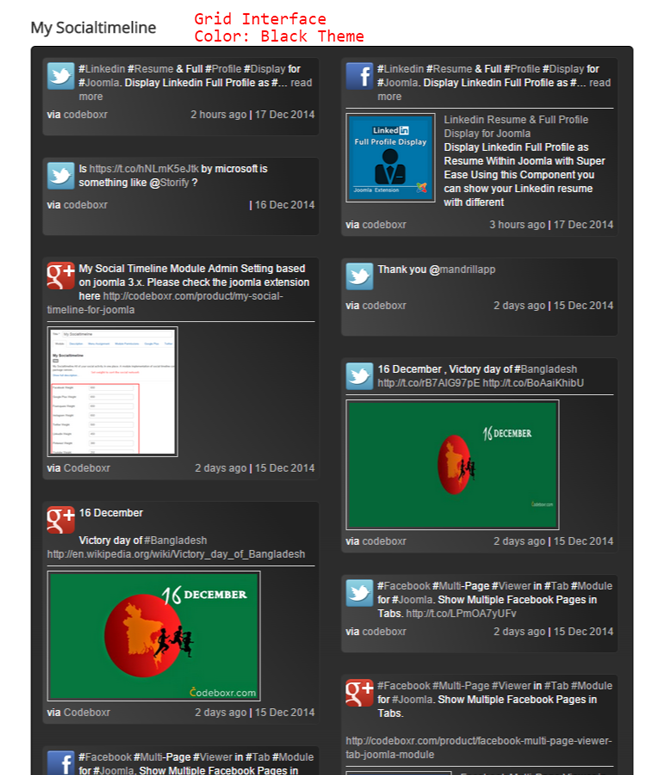 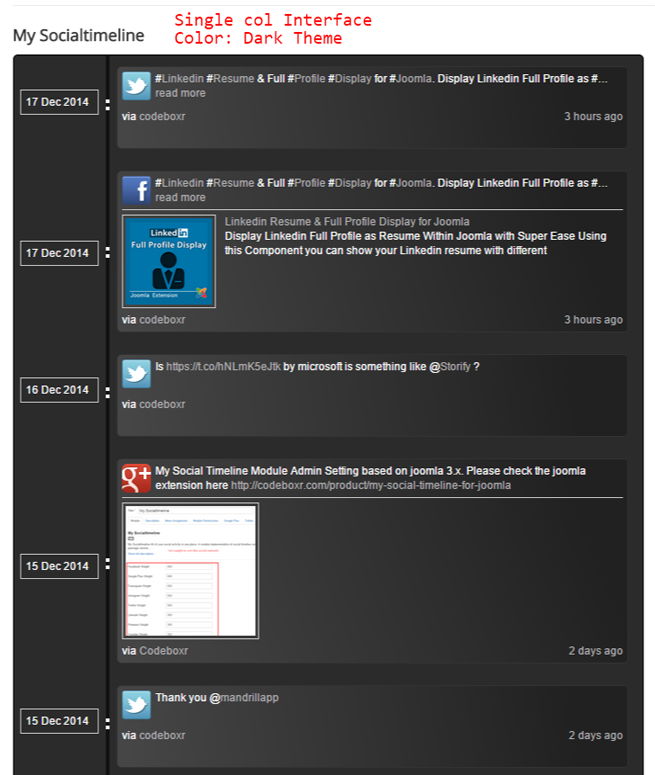 Social feed/news at it’s best inside joomla. 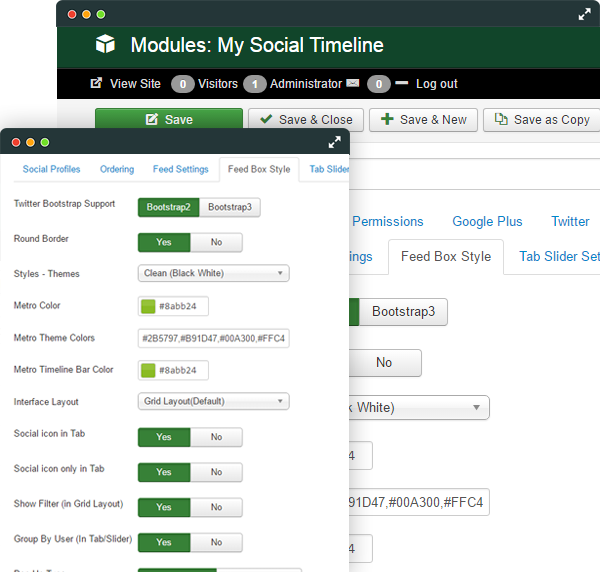 Uses oauth 2.0 protocol for connecting facebook, twitter, instagram and follows their latest api. 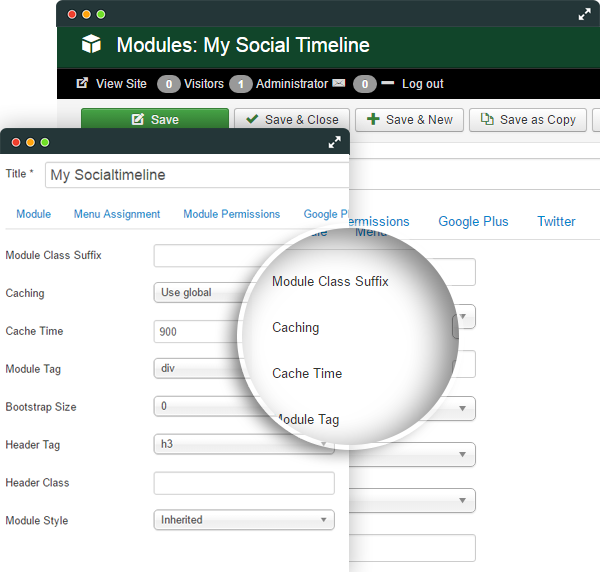 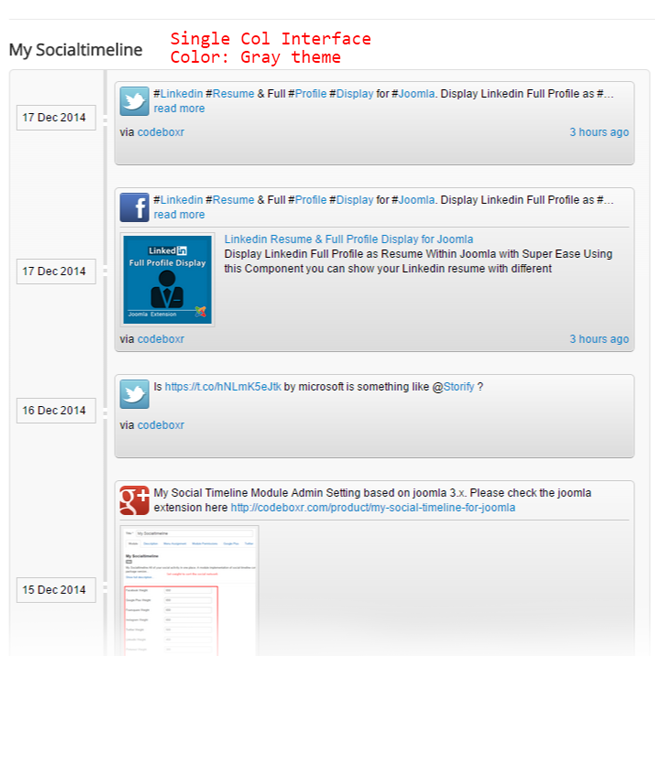 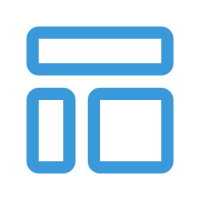 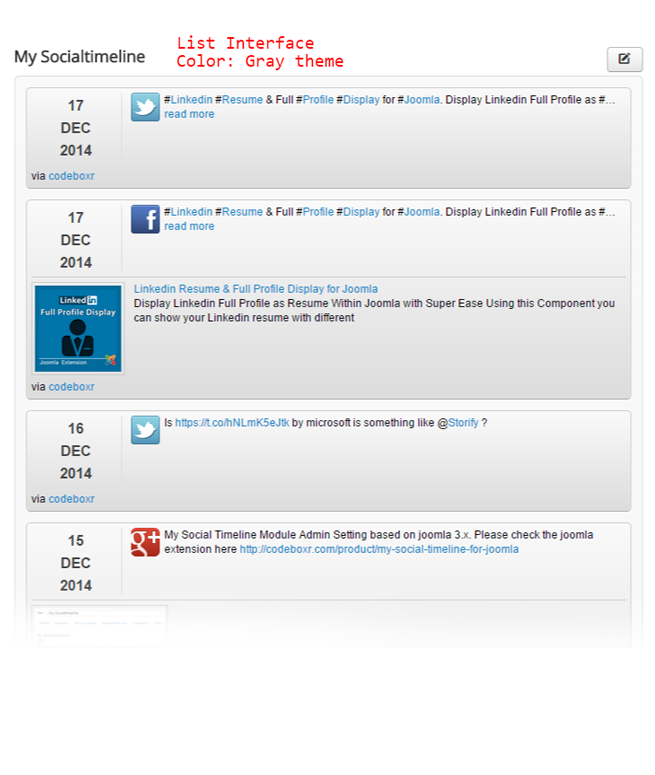 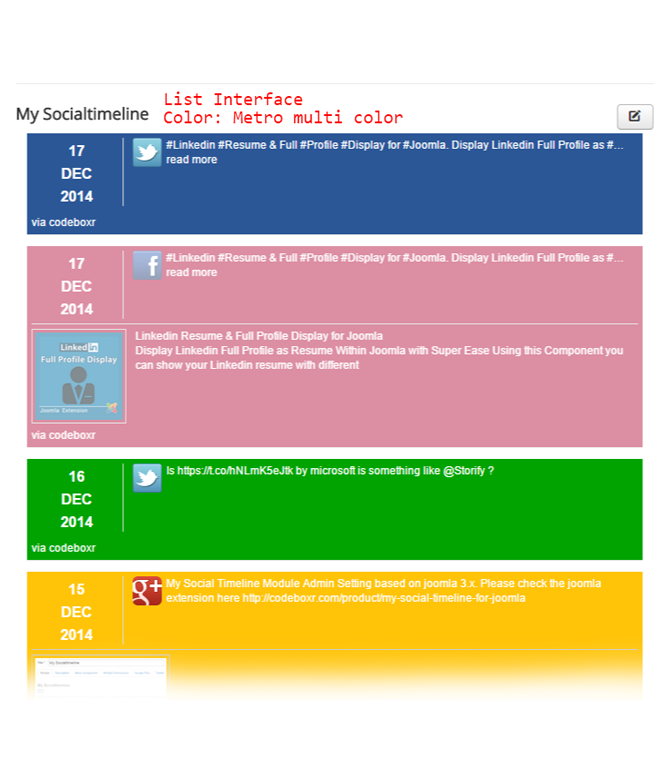 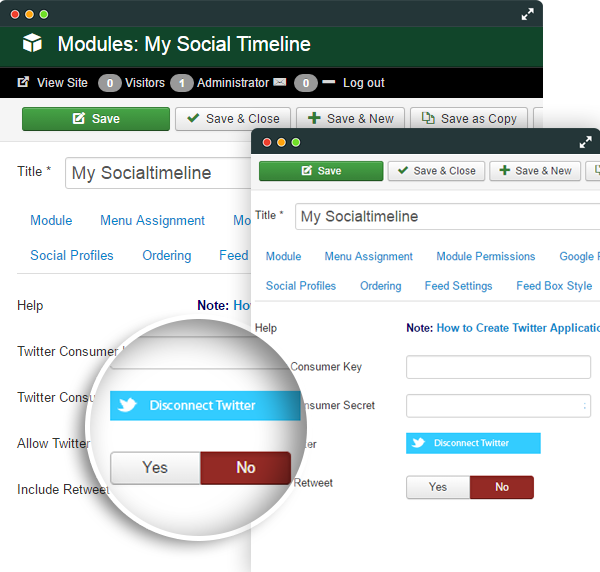 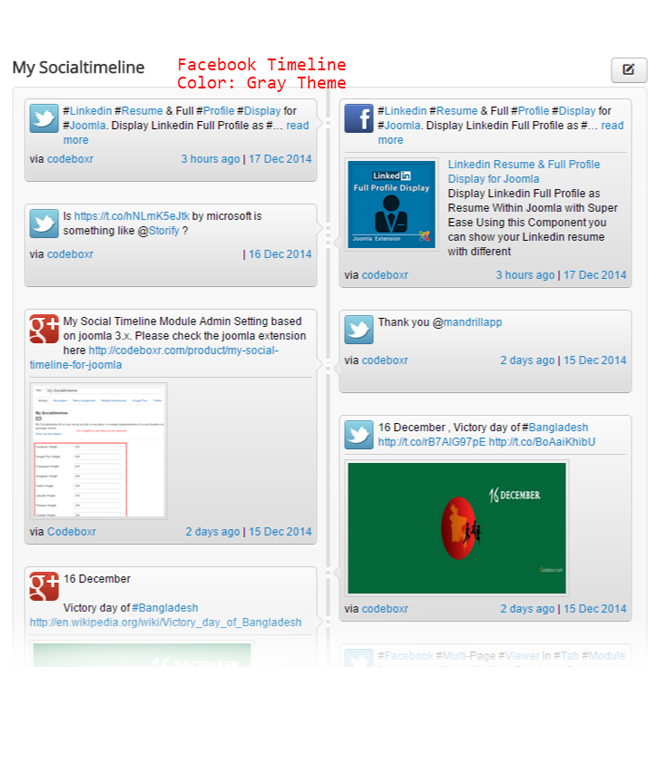 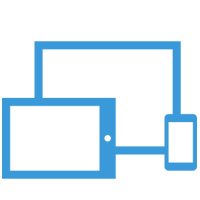 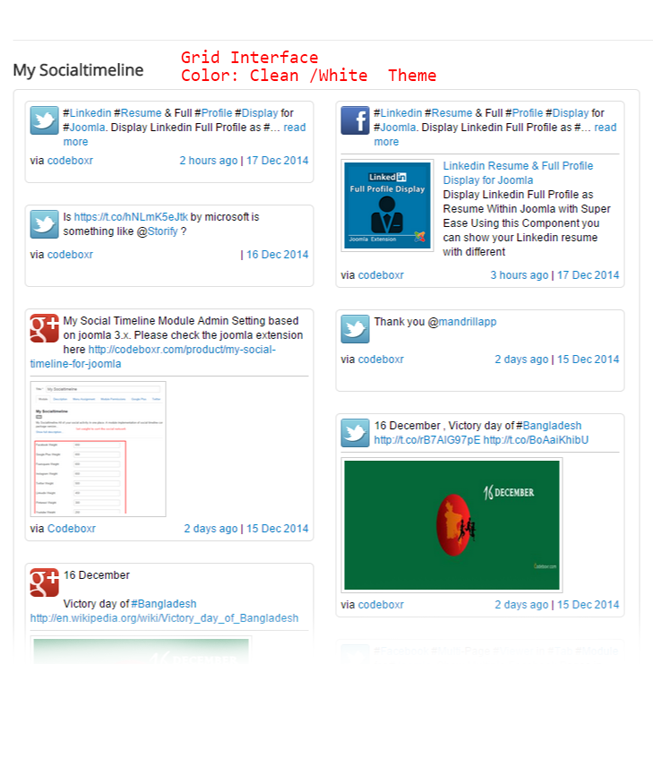 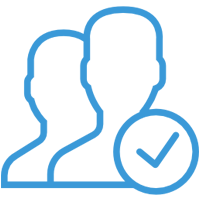 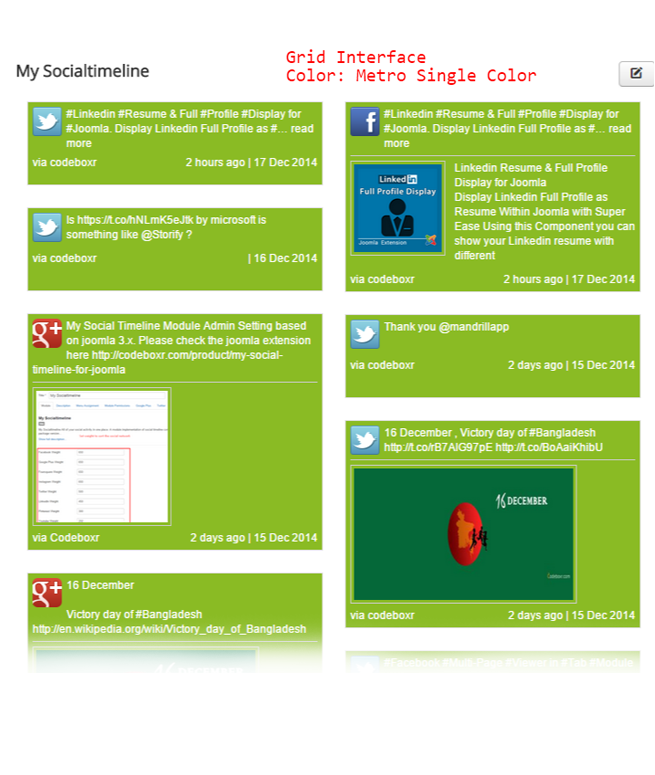 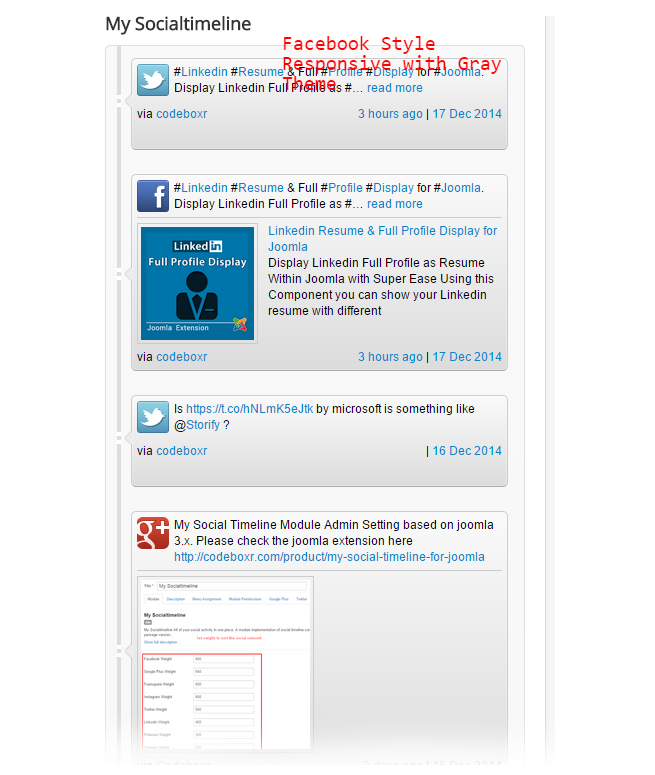 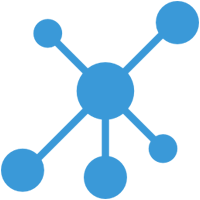 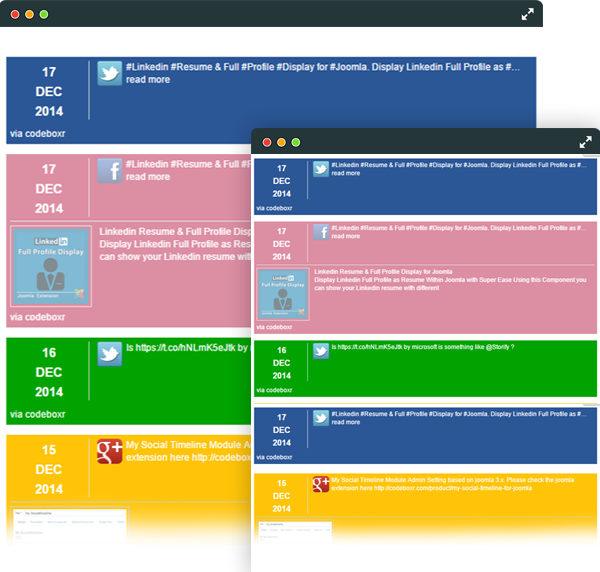 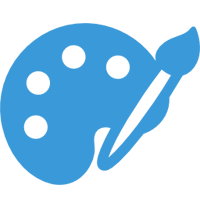 Social timeline is available in both module and component format and has almost same feature in addition component has frontend user chosen timeline. 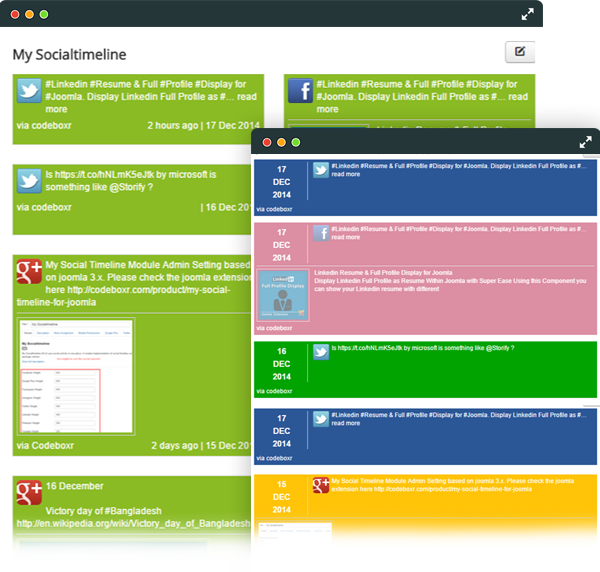 Works with jomsocial. 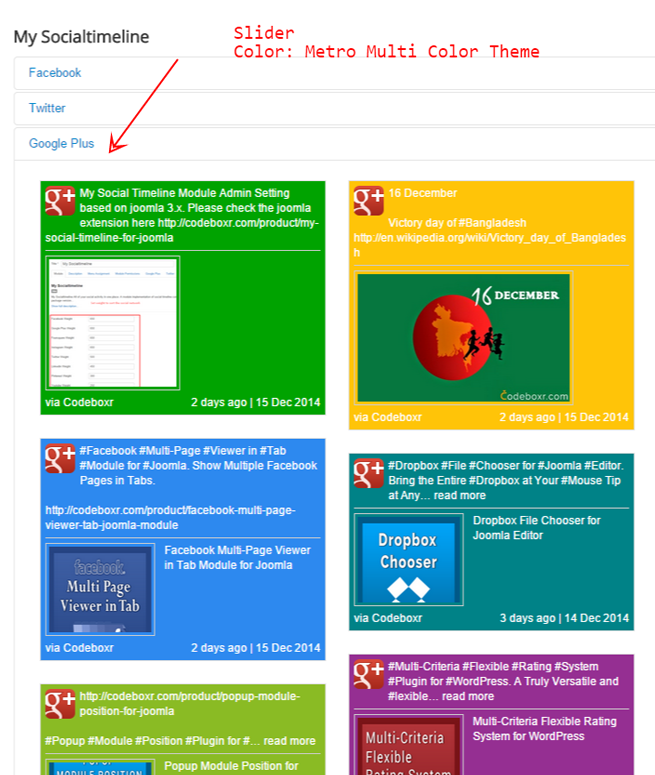 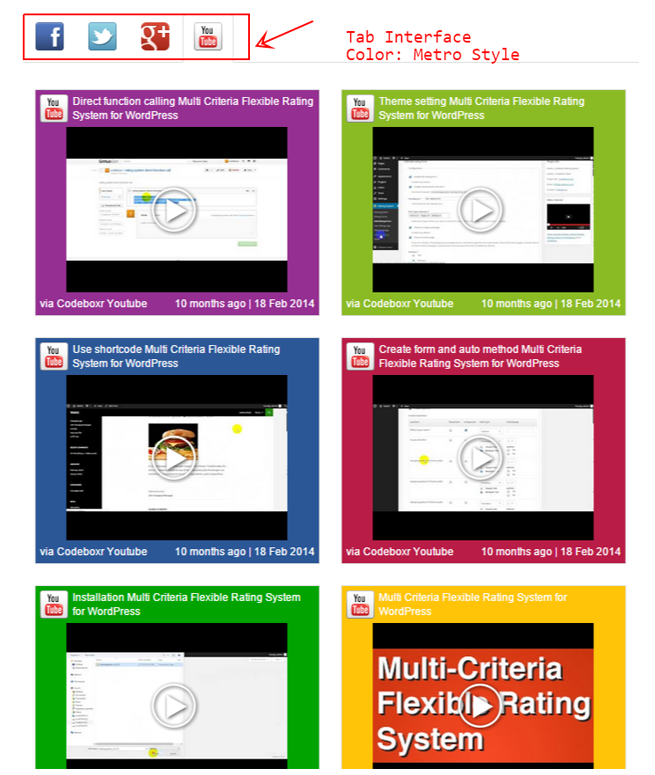 Or check the screenshots from our google plugin page album. 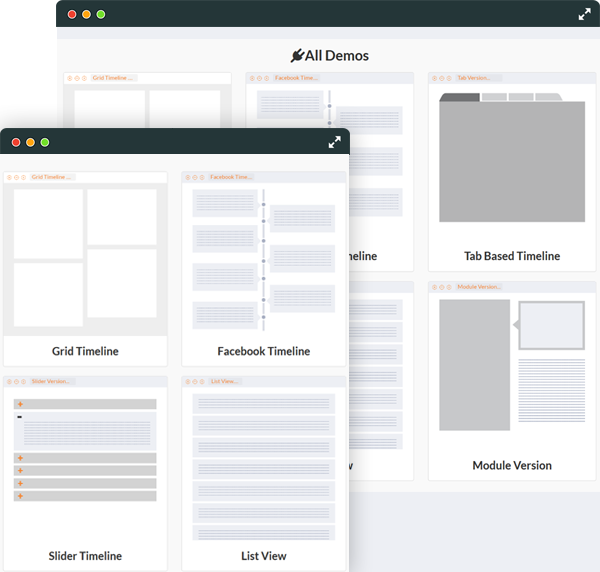 Note: Every download packages has both module and component as different packages. 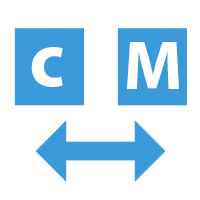 Module and component does the same thing where component has front end features.